What is Shareholder & Partnership Litigation? Florida attorney L. Reed Bloodworth explains that Shareholder & Partnership litigation, or a shareholder & partnership lawsuit, is a subset of business litigation that involves the owners of different types of companies. A shareholder pertains to partners or owners of a corporation. What Kind of Partnership Is It? There may be a balance in power or financial structure that brings the parties together, which doesn’t mean that fairness, objectivity and equality will be involved. Shareholder & partnership agreements and contracts should be established upfront before a business plan and business contract is agreed upon. By adding money to the overall situation where sides may not be seeing eye to eye there is the likelihood that business disputes become larger that what’s agreed upon in theory or on paper becomes messy. An ounce of prevention in any shareholder & partnership litigation is a strong, legally reviewed business contract. However, when one party enters into the agreement withholding information, planning to do something upon contract execution or at a point which leaves a party vulnerable, a business dispute will occur. Business partners and business shareholders may get into a standoff, where talks and negotiations break down and no form of mediation resolves the often financial or ownership of an idea, a business, a property or other entity. Sometimes disagreements can be resolved through mediation. Maybe a fairly intense negotiation between the parties will work to solve the dispute. 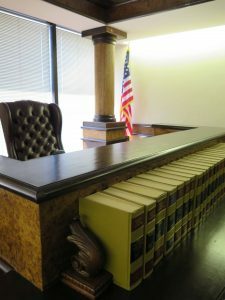 But often the problems in shareholder & partnership disputes require litigation and should be pursued by skilled and knowledgeable attorneys. My 50-50 Partner Took Money Without My Knowledge. Do I Get Half? The answer to this question depends on the type of entity you are a part of. If it is a true partnership where you and someone else agree to go do business together, but did not form an LLC, or incorporate into a corporation, it is a true, just partnership. How Much Money Was Taken? If your partner took money out of the partnership’s bank account, then you could sue the partner directly depending upon how much money was removed. And if money was put into the account equally, you could sue to recover monies directly based upon the partner’s potentially civil theft or conversion. Or if you had a partnership agreement, you could potentially bring breach of contract actions against that partner. If you and your partner formed an LLC, a limited liability company, and the money was held in a bank account for the LLC, technically the cause of action to get that money back would belong to the limited liability company. It may be possible to bring a cause of action on an individual basis as well, but that’s going to be fact specific. The same thing would go for a corporation. If you and your partner formed a corporation and the funds were held in a bank account for the corporation, it would be the corporation that would own the courses of action against the person who took the money out. But there is a potential that you could sue that person directly. What is a Derivative Lawsuit? If the lawsuit is brought in the name of the limited liability company or the corporation, then that is what is referred to as a derivative lawsuit. You are standing in the shoes of the corporation and suing on its behalf to recover monies that belong to the LLC or the corporation. If the circumstances allow you to bring an individual action against the person who took the money, then you would not be suing on behalf of the LLC or corporation. You’d just be suing as yourself–an individual–against another individual, because that person’s action caused you direct harm. So that’s a bit of a tricky question and it will be very fact specific as to who can bring the lawsuit and the type of causes of actions you would bring. How Can I Sue Someone Who Broke a Contract? If you have been the victim of a breach of contract generally you would sue someone who broke a contract in state court in Florida. However that may be determined by the contract itself. Some contracts state the proper venue and jurisdiction for where a lawsuit should be brought and some contracts contain an arbitration provision. So suing someone for breach of contract could take place in a court. So you have state court and federal court. The contract may explain to you where it should take place and other contracts may state that if a dispute arises about the contract it’s to be arbitrated. And they often times provide where arbitration should take place and what arbitration panel or individuals should hear the dispute. In either circumstance it would behoove you to consult with an attorney and in most circumstances hire an attorney to assist you with pursuing an action for breach of contract against an individual or entity. My Partner Broke Our Business Agreement. What Can I Do? In a situation where business partners–be it a true partnership an LLC or a corporation–breaks an agreement with the partner that could be an operating agreement a shareholder agreement a true partnership agreement the non-breaching party can do several things. The non-breaching party could write a letter to the breaching party requesting that the breaching party remedy the breach and come back into compliance with the contract. If that fails, the non-breaching party has the option to institute a lawsuit against the party in breach and pursue various remedies against that person. 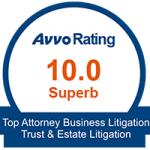 The types of remedies that non-breaching party can pursue will vary greatly based upon the facts of each specific situation. For example if two partners deposited an equal sum of money into a bank account and then one of the partners withdrew all of the money in the bank account the party or the partner that did not withdraw the money could sue the partner that did withdraw the money for the amount that partner placed into the account. A situation like this often arises where the partnership agreement or operating agreement requires that the withdrawal of money requires agreement between the partners. Accordingly a legal remedy is often available in this situation.